Since 2009, OpenMind Alliance Academy (OMAA), a non-profit ABA school, provides centre-based services to children with special needs and Autism. We specialize in teaching behavior management, communication, social and academic skills, using a multi-disciplinary teaching method of Applied Behavioral Analysis (ABA), Intensive Behavioral Intervention (IBI), Verbal Behavior (VB), and Natural Environment Teaching (NET). Our School is uniquely designed to meet the sensory needs of our students by reducing unnecessary stimuli and providing an environment that promotes both social learning and academic achievements. Our students' ages range from 2 to over 20 years old. Our goal is to help our students to become effective students and to achieve independence in life. 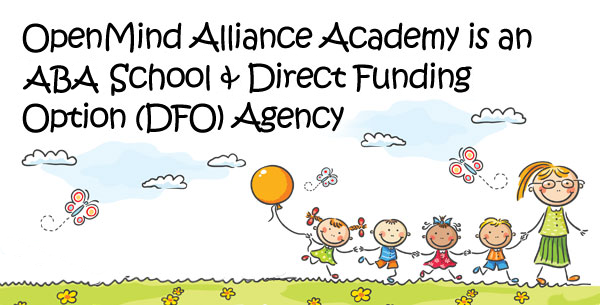 OpenMind Alliance Academy is also a Direct Funding Option (DFO) agency. 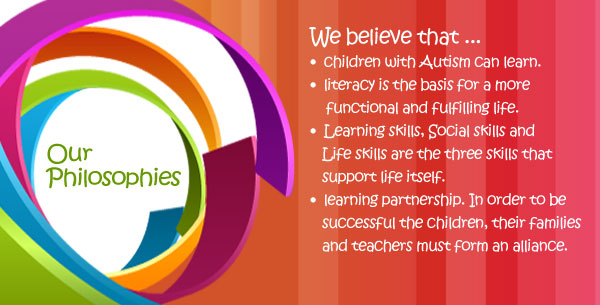 We are providing IBI services to children funded by the Ontario Autism Program (OAP). All programs across the domains are supervised by our Principal and clinical supervisor, Sue Co.
OMAA strives to offer our students a well-rounded education by addressing individual needs in both the academic and the behaviour areas. We have proven successful cases in bringing our students closer to their actual grade level through the deployment of our three-phase Bridge Program. We all know that children should play. ‘Play’ helps children to develop in language, communication, imagination and every area one can possibly think of. However, ‘Play’ does not come naturally for children with autism. Before asking the child to ‘go play with your friend’, we must try to understand why ‘play’ does not come naturally for our ASD children. Based on much research and our observations, we know that our ASD children have problems imitating and receiving / retaining verbal information – hence the communication difficulties. When the child does not have a basic understanding of his/her environment, verbal communication is nothing more than a jumble mess of meaningless sounds. One might argue that teaching the child to imitate other children to play works well. But if the child does not understand what s/he is imitating the play will not make sense. The child will lose interest before long. Having tried many methods of teaching, we have found that teaching children to label common everyday items is very helpful. Numbers, letters even words are some of these common items. They are practically everywhere. By teaching our children to recognize them, we facilitate a sense of achievement. When children feel confident about themselves, they often want to share their knowledge. Without even realizing it, our children have embarked on an academic journey. To many of them this is fun, this is success, and this is the game they can play. Is this academic? Definitely yes. Is this play? Definitely yes! Through this ‘game’ our children can build a bridge to reach out to other children and let the other children reach them. From this academic game, our children have finally found something in common with the others. This can be the beautiful beginning of a lifelong friendship, you never know! Our school age children will spend the majority of their days in schools. Many of our children do not function well in groups. They may have a variety of problems, mostly sensory based. Therefore, transitioning from one environment to the next, especially from a quiet one to a noisy one can be a challenge. 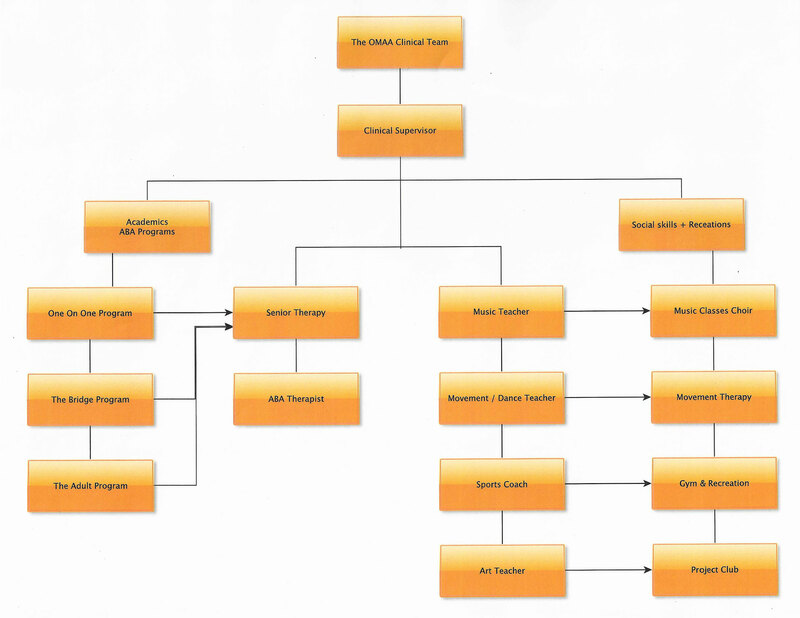 Starting Centre-based training early can reduce or even eliminate the transition issue. When the children can transition from one environment to the next fluidly, a great many number of behavioural issues will not develop. As a result, the child will be more successful in school and the community. 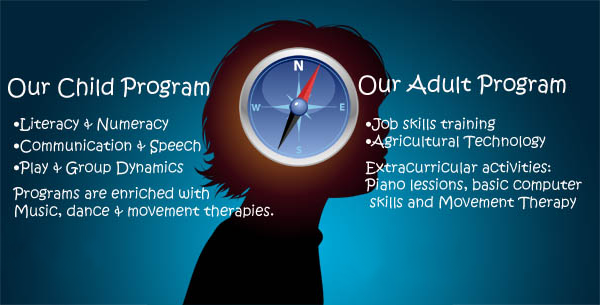 The Progressive Bridge Program is a school readiness program designed and developed by OMAA. This is an enriched ABA program written in accordance to the OAP requirements of the Behavior Plan, focusing on the 9 major behavior domains. The Program will be delivered in three progressive levels. The children are led to move forward progressively at their own pace until they are ready for school. 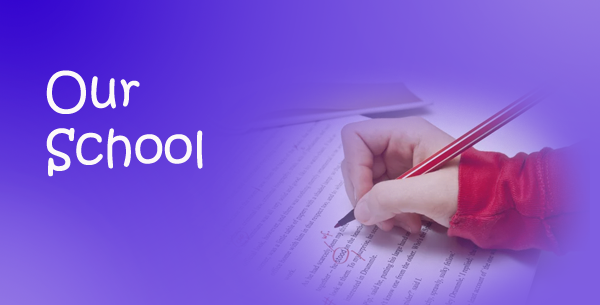 Level 4 is designed to support the children to fine tune their school attending skills. The children will be taught in a combination of 1:1 and groups accordingly depending on the constant assessments conducted by our clinical team. Children with autism can integrate in school without help ! Young adults from age 18 and up are welcome into out Agricultural Technology Adult Program. While work quality is just as important as any workplaces, the agricultural sector does offer a great deal of flexibility. For those individuals who like a challenge but have difficulties meeting stringent daily time constringes, this program may be a good fit. Our program focuses more on the quality of work and the quality of life rather gaining the largest quantity in the shortest possible amount of time. This is a task oriented program in which program members will be exposed to a wide varieties of tasks in an agricultural setting. Among all the hands-on tasks program members will also learn about Natural Science such as season changes and their relationships to planting, growing and harvesting. This part of the Program help nurture a love for the nature and the importance of local food production. Marketing operation will be introduced. Concepts on money, transaction, and customer services will be taught and practiced in a nearby farmers market. Those program members who are suitable to part of study will have the opportunities to apply their knowledge in real live situations. Since our inception in 2009, our caring parents and friends have generously donated in their various capacities in time, money, knowhow, education material and toys to our Learning centre. The resources enriched our library, enhanced our activities and enabled subsidies to those students who are most in need of help. On behalf of OpenMind Alliance and our students, we would like to express our sincerest thanks to them. Our School, located in Richmond Hill, has been designed and built with the special sensory needs of our students in mind. The calm ambience of our all-LED-lit environment alleviates some of the sensory burden produced by florescent and other types of lighting. In order to reduce stress, each student has her or his own room for individual one-on-one sessions, enabling them to pay maximum attention to the tasks at hand and learn more successfully. Also located within our facilities is an indoor playground, where peers’ interactions are facilitated and practised under the guidance of our instructors and a studio to facilitate space for extra curriculum activities – gym classes, movement therapy classes, music classes and choir practices. To prepare students for school, we are equipped with multi-media classrooms and a library which simulate the school environment. Children can learn and practise many classroom routines and school activities. This helps to reduce anxiety throughout the transition, preparing them for an easier integration and a more successful school experience. Be more capable to function in school (for example, greeting others and/or answering simple questions).